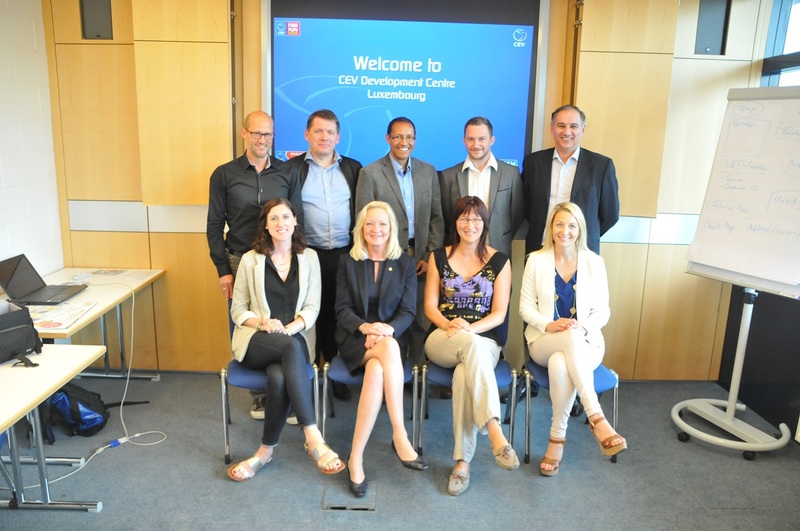 As the Grand Duchy of Luxembourg played host to the men’s finals, a meeting of the Small Countries Division (SCD) Board of Administration was also held in Luxembourg City. In addition to the preparation of the next SCD General Assembly, the agenda included budget, development and competition strategies and these topics were worked through over two days. With the founding of the Beach Volleyball Commission, the Scot Martyn Johnstone was elected as CEV SCD Beach Volleyball Commission President. The first edition of the SCD Beach Volleyball Championships for ‘senior’ players and for the U20 age group is planned for 2016. As far as development is concerned, there are training courses planned for the coming season for referees, coaches and about event design in order to reach the ambitious goal that all members will take part in future SCD competitions.